Despite aerobics being physical, an aspect of mental work is added to the mix as a result of having to learn the steps and keep to the beat throughout the workout. This is advantageous, since it helps to hone flexibility and overall reflexes while at the same time sharpening the mind. As a result, aerobics comes highly recommended for individuals who have lost control of their limbs for a period of time or have been bedridden for one reason or another. 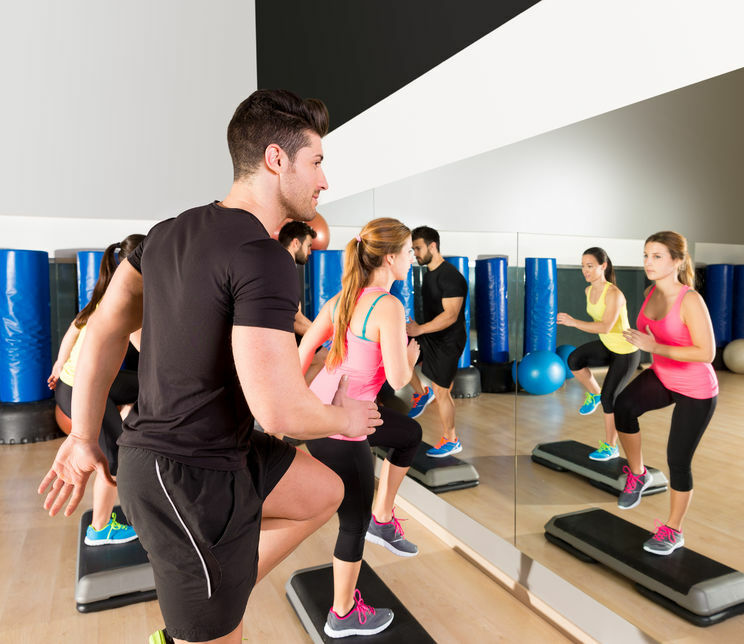 Such people are most likely to be put into the low-intensity-level classes with a certified instructor whose specialty includes physiotherapy. Aerobics is classified under cardiovascular exercise. This is because of its fat-burning properties. During a workout, there is repeated movement of the large muscles in the arms, legs and hips. Thus, there’s increased breath intake to maximize the amount of oxygen in the blood, so as to meet the energy demand created by temporarily increased metabolism. The advantage of all this is that there will be increased blood flow to the lungs and muscles, aiding in the flow of oxygen to the muscles and toxins away from them. The body will also release endorphins, which promote a general sense of well-being and help reduce stress. Most problems associated with aerobics come mainly as a result of a failure to work out in the right way. Many people don’t take the time to understand their body’s limits before starting the workout. It is advisable for a person to visit a doctor for a general check-up, with particular emphasis on the joints and the heart. Those with weak ankles or displaced kneecaps, for example, would be advised to use fabric braces to ensure that the joint is straight and doesn’t move out of place. Those with heart problems would be advised on what intensity they target in order to reduce the likelihood of stroke or heart attack.